The community of Lely Resort is a semi-private illustrious golf resort community developed within 3,000 enthralling acres in Naples, Florida. 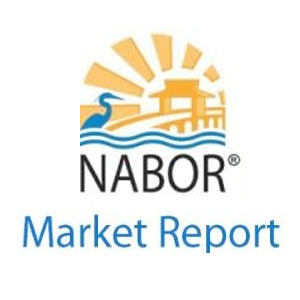 Located in Southeast Naples and just a short drive from the downtown area, this one-of-a-kind golf resort community embraces five-star local resort accommodations, excellent schools, hospitals and medical facilities. The Lely Resort community ranks as one of the most prestigious neighborhoods in the world and continues to make an eloquent statement of well-designed luxury residences. Boasting an ideal location as one of the most sought after addresses in Southwest Florida; the area consists of magnificent modern condominiums, old world villas and luxurious single-family homes. Lely resort offers a grand lifestyle of golf, luxury and balance…and so much more. 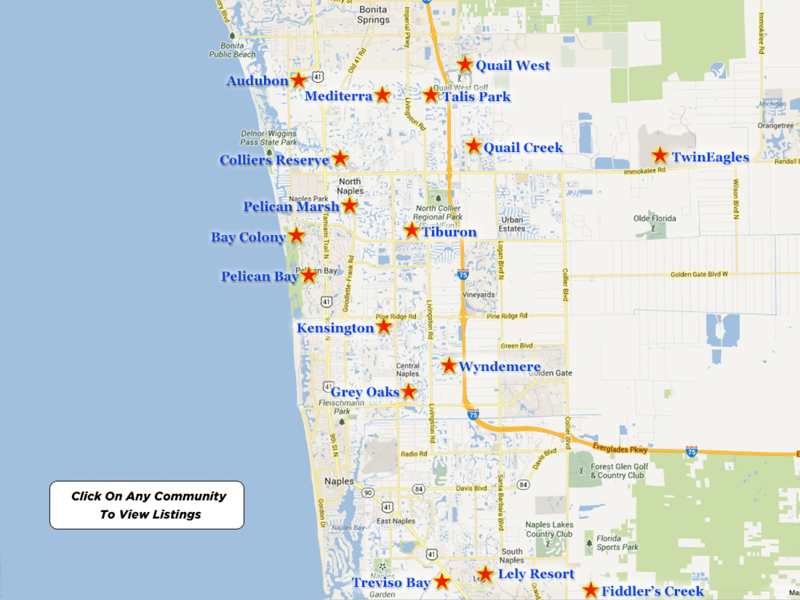 The Lely Resort community is not only diverse, but eclectic. The combination of elaborate tropical landscaping, views of the well-maintained golf courses, the forest preserves, marshes and fresh water lakes make Lely Resort a lush, trend-setting area with all walks of life…retirees, singles, couples and families. Enjoy well-maintained white, sandy beaches along the enticing waters of the Gulf of Mexico, fine dining, cultural arts, artistic venues and music events at the home of the Naples Philharmonic and The Baker Museum – Artis Naples and shopping at The Village on Venetian Bay, The Waterside Shops, Mercato, shopping and fine dining at Fifth Avenue South and Third Street South, The Naples Botanical Gardens, The Naples Zoo and the adventure of exploring the nearby Florida Everglades. Within this outstanding Lely Resort neighborhood, there exists the renowned Lely Resort Golf & Country Club…a spectacular gated golf resort offering upscale unique luxury residences, and featuring a trio of well- maintained and well-designed golf courses….The Classics Golf Course, The Mustang Golf Course and The Flamingo Island Golf Course. All three of these are 18-hole, par-72 golf courses that not only challenge golfers of every skill level, but these courses have the additional feature of being designed by three different golf course design architects. Let us further elaborate and talk more about each of the specific golf courses, to enable a better sense of appreciation for each of these fascinating courses. The Classics Golf Course is truly the center focal point of Lely Resort & Country Club. As a private, award winning 18-hole par-72 course; The Classics Golf Course opened in 1990 with a layout of 6,714 yards which was designed by the well-known golf course architect and PGA professional, Gary Player. And, just like Gary Player, the course has become legendary, featuring an array of spectacular tropical landscaping, lush green fairways and pristine greens interwoven with crystal-blue fresh water lakes, foot bridges and bordered along the course perimeter with towering oaks, pines and palm trees…a challenging experience for golfers of every skill level and truly a homage to both Gary Player and to mother nature. The Mustang Golf Course was designed by the notorious golf course architect and PGA professional, Lee Trevino, and opened in 1996. This amazing golf course is a semi-private 18-hole par-72 course with 7,217 yards of gently sloping lush green fairways, strategically positioned bunkers, 12 shimmering fresh water lakes, oversized well-manicured greens and flowering marshes. Additionally The Mustang Golf Course offers multiple tees on every hole, challenging golfers of every skill level and guaranteeing a golf game not soon to be forgotten. The Flamingo Island Golf Course, designed by the infamous golf course architect and PGA professional, Robert Trent Jones, Sr., opened in 1989 and is a semi-private 18-hole par-72 course with 7,171 yards which embodies a championship layout with intricate lush green fairways, numerous white sand bunkers, pristine well-manicured Bermuda Grass greens, sparkling-blue fresh water lakes and glorious tropical landscaping throughout the entire course…truly a spectacular course that will keep golfers coming back again…and again. 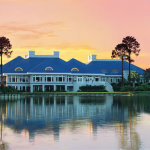 However, championship golf is only the beginning of this stunning Lely Resort community. Residents enjoy two accommodating Mediterranean designed clubhouses. The Classics Golf Course has its very own clubhouse, while The Mustang Golf Course and The Flamingo Island Golf Course share a clubhouse. Both clubhouses offer an assortment of gourmet and casual dining for every member’s pleasure. The Classics Clubhouse is both luxurious and accommodating, offering members and their guests, phenomenal amenities while enjoying breathtaking views of the award winning course. The Classics members also enjoy a luxurious heated swimming pool, a contemporary exercise facility with professional trainers and classes, two-lighted Har-Tru clay tennis courts with a staff of USTA certified professionals, a variety of golf and tennis tournaments, leagues and social play with a vast array of private member social activities and events; and a staff of PGA professionals to serve your every golfing need. The Mustang and The Flamingo Island Clubhouse is a stunning 25,000 square foot facility offering in addition to championship golf…an assortment of first class amenities and activities. The clubhouse is well-designed with elegant décor and the spectacular views of the golf courses are not only premium, but breathtaking. There are five-lighted Har-Tru clay tennis courts with a staff of USTA certified professionals, a lovely heated swimming pool, a modern exercise center with professional trainers and classes; and an assortment of social events and activities; and a staff of PGA professionals to assist with all of your golfing needs. Lely Golf & Country Club offers various options for membership. Please note that membership prices and fees are subject to change. For additional information, please contact the Membership & Sales Director, Carole Waller at 239-732-1200. This membership enables members, their spouse and children up to age 23 to enjoy and have access to an array of privileges and amenities including full golf access to The Classics Golf Course and preferred tee times on The Flamingo Island Golf Course and The Mustang Golf Course. This non-transferable membership enables members up to the age of 45 years, their spouses and children up to the age of 23 to enjoy and partake in a variety of club amenities and privileges with full access to The Classics Golf Course and preferred tee times at The Flamingo Island Golf Course and The Mustang Golf Course. For additional pricing and fee information, please contact the Membership & Sales Director, Carole Waller at 239-732-1200. This membership enables members, their spouse and children up to the age of 23 to enjoy full access to the clubhouse and fitness center at the Classics Golf Course as well as a full calendar of social events and activities. Additionally, this membership provides unlimited access for non-seasonal golf (May 1-October 31). For additional pricing and fee information, please contact the Membership & Sales Director, Carole Waller at 239-732-1200. This membership enables members, their spouse and children up to the age of 23 to enjoy and partake in the facilities and amenities of The Classics and invitations to exclusive member-only social events. Membership in The Platinum Club expands your club benefits and privileges at The Classics and afar. This membership is available exclusively to active private club full golf and associate golf members. Additionally, the program permits the member to enjoy golf access to golfing amenities at over 100 reciprocal golf clubs and courses throughout the country. This one-of-a-kind member upgrade provides exclusive events and benefits that are unlike any other club membership. For additional pricing and fee information, please contact the Membership & Sales Director, Carole Waller at 239-732-1200. Membership in The National Golf Club entitles a member to have access to over 150 golf courses throughout the country in highly sought after resorts such as Palm Springs, Los Angeles, San Diego, Scottsdale, Portland and Naples. For additional pricing and fee information, please contact the Membership & Sales Director, Carole Waller at 239-732-1200. Lely Resort homes for sale have various price ranges. Lely Resort Condominium sales start from $300,000. 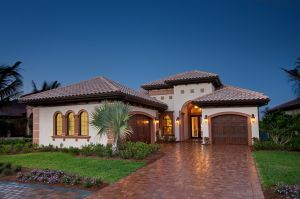 Lely Resort luxury coach homes start at $700,000 and Lely Resort single-family homes range in price from $600,000 to $2,500,000. Make a difference by choosing to enjoy the magnificent panoramic views from this glorious golf club community. Relax, refresh and replenish your mind, body and soul in the splendor of Lely Resort…living the esteemed lifestyle of golf, luxury and balance.